The FIFA world cup is arguably the biggest football competition in the world and this year's edition which is the Russia 2018 World Cup has already began. No football fan will want to miss out on any of the live actions and the best way to keep tab of all the live matches on the go is through your smartphones. 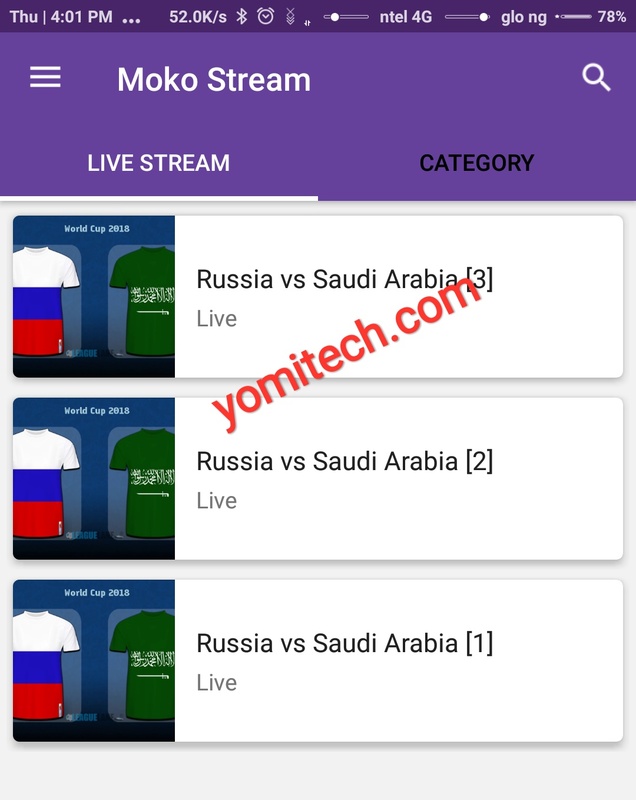 In this post I will be introducing a new app to you guys which is called Moko Live Stream. With this app, you can stream all the 2018 FIFA world cup matches directly from your smartphone for free. The app is lightweight and available on Google Play Store. >> It does not require a third party media player. >> It shows you all Love matches so don't have to search for channels. >> You will get notifications for every match schedule and the time. >> It's compatible with most android smartphones. >> It's available on Google Play store. 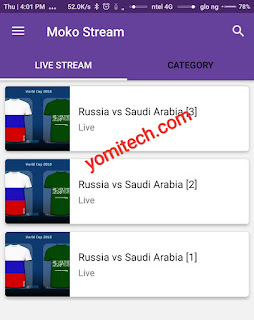 You can search for Moko Live Stream on Google Play Store or download directly by clicking on the link below.